Looks like Weltmeister no longer produces springs for the 944. Does anyone have any recommendations from other spring manufacturers? Is anyone running Eibach's? If so what part number. 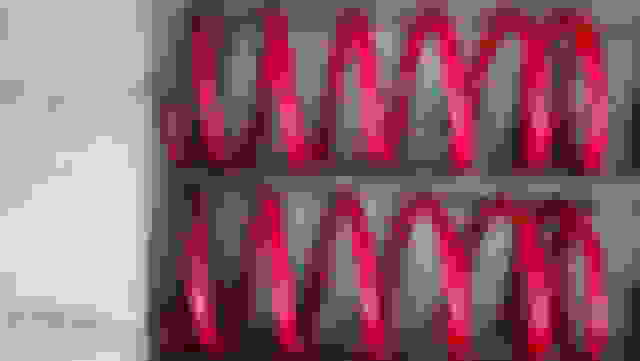 I'm looking for a 250lb spring. Thanks! Are you running a coilover sleeve, or did you just match the original spring dimensions? I have been using H&R springs on my S2 for over a decade. They were the only lowering spring option at the time for the stock struts. Never had an issue, it's also a street car. Are these on an M030 optioned car? Do you have size/spec info or a part # on the springs? I'm looking for a 250lb spring. What are you hoping to achieve...stock, sport, or track ride height? 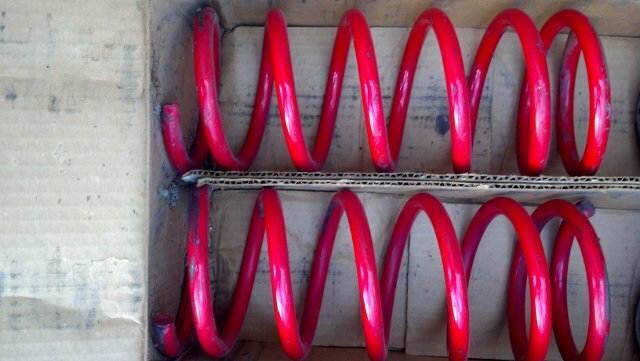 Have a set of [unknown] 220 lb springs [via spring dyno] that are not very user friendly for the street. Ran them daily for about a year and a half, but the front end sat way too low for my taste...ground-to-fender lip on my '86 with factory M474 struts was 23.5". Could barely displace the front end when I leaned on the fender...at 6 ft and 200 lbs. Hey, I ended up getting a coilover sleeve and eibach springs. I appreciate your offer! Did you decide on 250 lb springs...paired with factory 23.5 mm torsions? Over stock dampers...Koni, Sachs, Boge? What sway bars are currently fitted to your car? If you have not yet any additional rear spring, you may need to downgrade your front sway, or upgrade your rear sway, to compensate for the difference in 250 lb springs [~225 lb effective wheel rate] and 23.5 mm torsions [~127 lb effective wheel rate]. I'm setting this car up for rally cross. I got bilsteins all around, w coilover sleeve kits to give me a couple more inches of ride height. Fronts are 250 springs, rear are 275 + stock torsion bar. I'm deleting the front sway bar during the event. Fronts are 250 springs, rear are 275 + stock torsion bar. I'm deleting the front sway bar during the event. That sounds just about perfect...~225 lb effective front wheel rate vs ~245 lb effective rear wheel rate [(0.65^2 * 275) + 127]. Where are you thinking of running your suspension for rallies...front ground-to-fender lip ~27"?